The ferry was traveling between Ukara and Bugolora and capsized near the area of Mwanza. 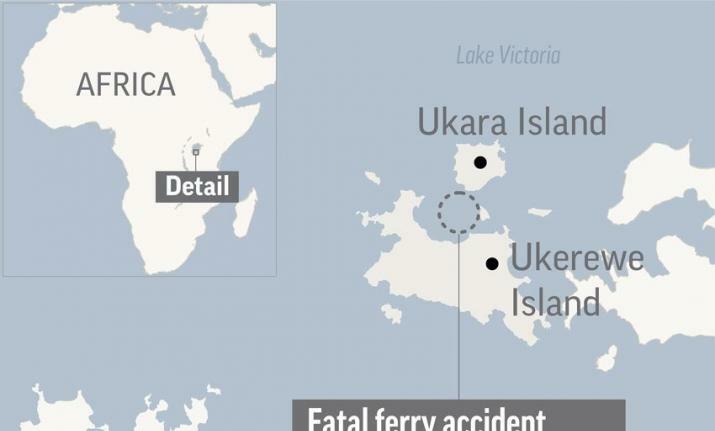 Kampala: At least 100 people were killed and 37 others rescued after a Tanzanian passenger ferry collapsed on Lake Victoria on Thursday, an official said. The death toll is expected to rise as the rescue efforts continue on Friday. “I cannot speculate” how many people had been on board, he said. “Right now our focus is on rescue.” said Mwanza regional commissioner John Mongella as quoted by The Associated Press. The ferry was traveling between Ukara and Bugolora and capsized near the area of Mwanza. The freshwater lake area surrounded by Tanzania, Kenya and Uganda often experience accidents like these.